Bromelain is a combination of enzymes that aid in the digestion of protein. It is derived from the stem and the juice of the pineapple. Bromelain has a number of benefits, the most well-known of which is promoting a healthy internal response in relation to infection and injury. Some studies have shown that bromelain may alleviate swelling, bruising and pain following surgery and injuries. Research continues. 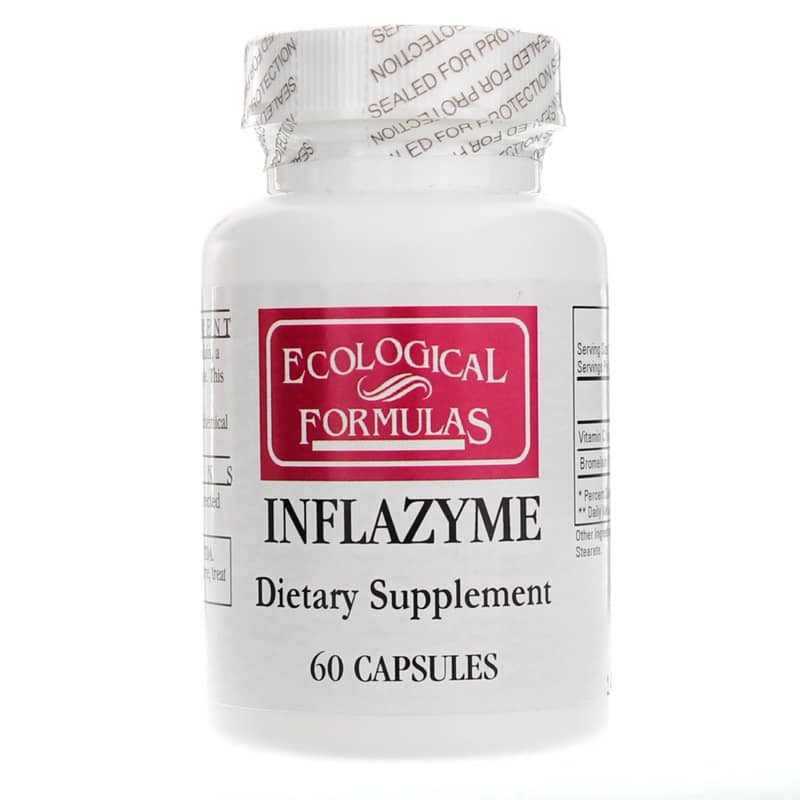 Ecological Formulas offers a natural supplement called Inflazyme that delivers 500mg of bromelain per serving. 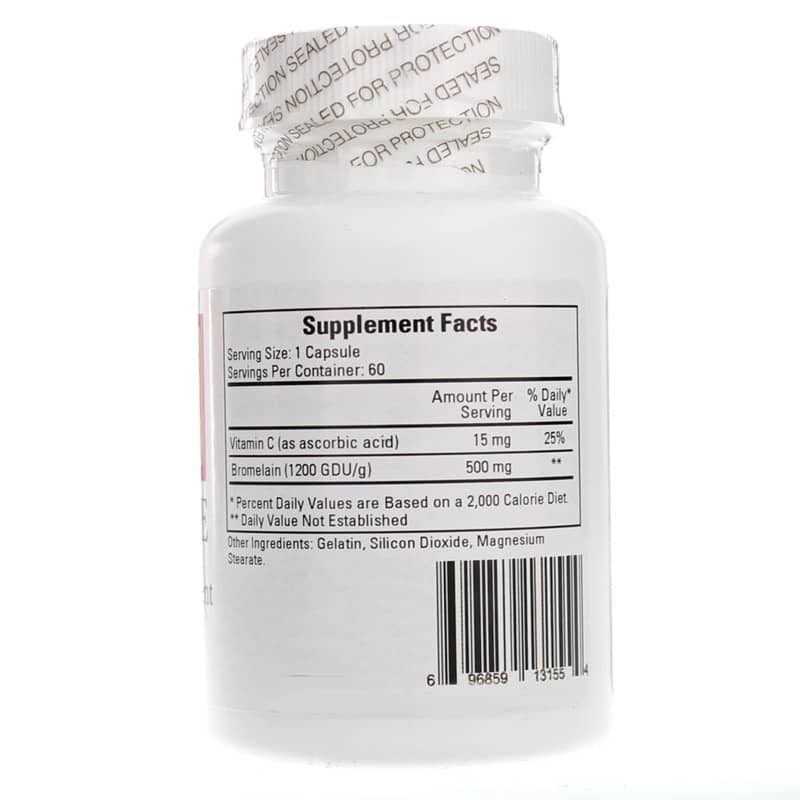 This supplement does not contain gluten, casein, yeast, wheat, dairy, preservatives, or other common food or chemical allergens. Recommended use is to take one or two capsules daily or as directed by a healthcare professional. 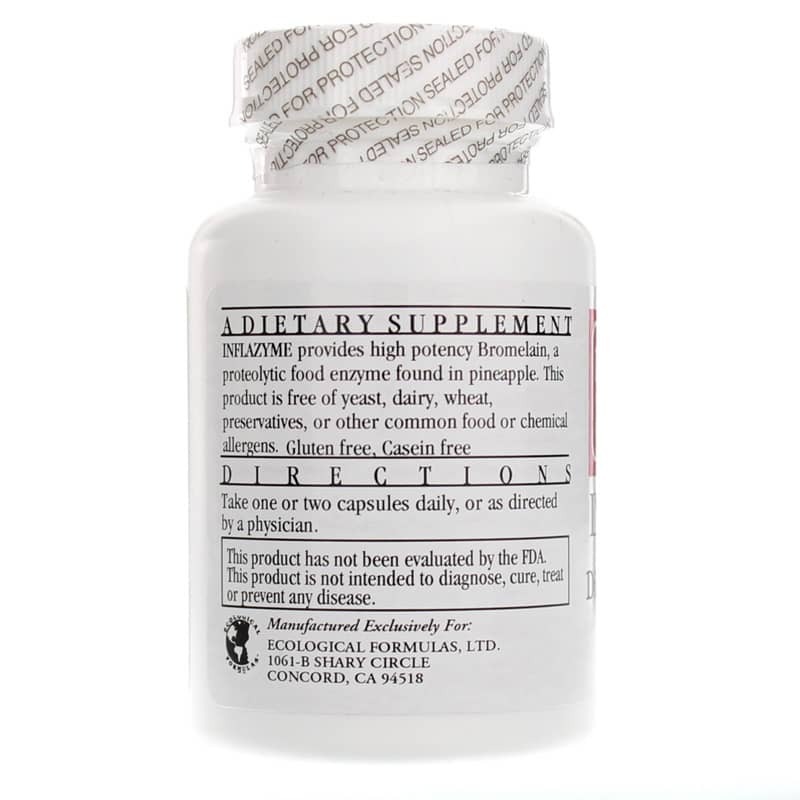 If you're looking for a natural bromelain supplement, check into Ecological Formulas' Inflazyme. Order online today! Contains NO: yeast, dairy, wheat, preservatives, gluten, casein or other common food or chemical allergens.